Microsoft Corp will launch commercial cloud services Azure and Office 365 (cloud computing platforms) through data centres in India before the end of 2015, told Satya Nadella, the Microsoft CEO who is currently visiting India, to the press on Monday. 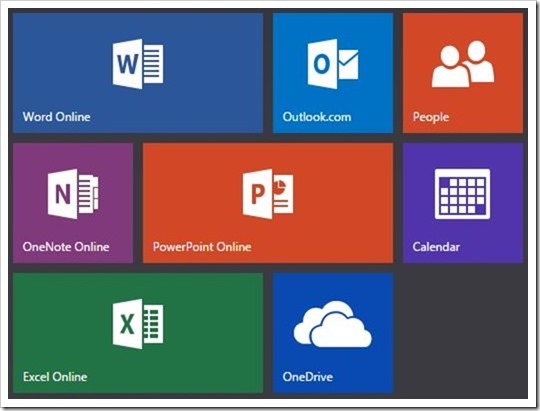 The Office suite includes the extremely popular Microsoft Word, Excel and PowerPoint. The CEO, who is visiting India for the first time after he took over one of the most exalted corporate jobs in the world in February 2014, did not disclose the amount which will be invested in this project by the company or the number of jobs that it will create here. “As we get started, you will be able to see the scale of the data centres. We’re pretty excited about the scale. 900 million end points will drive this,” said Nadella, referring to the number of mobile phone users in India. “A mobile first world can’t exist without a cloud first world,” he said. Talking about the potential of the cloud services market, Nadella said, “The cloud opportunity in India is a trillion-dollar opportunity. “World class cloud infrastructure is going to help Indian companies, government and entrepreneurs,” the 46 year old CEO told the reporters. In a very brief interaction with the scribes in the capital on Monday, he said that offering commercial cloud services will help its partners such as HCL Infosystems, TCS, and Wipro, who have built cloud offerings with Microsoft Azure and Office 365. Cloud computing lets users store and manage files and applications over the internet. “We have 10,000 partners in India consisting of hosting providers, independent software vendors, system integrators. By doing this we have opened up a huge opportunity for these 10,000 partners to take world-class services and make them available in India,” Nadella said. Nadella said we are going through a massive technological shift, “a mobile-first, cloud-first world”. “But it is not the device that is mobile, it is you who is mobile,” he added. The CEO has been pitching hard for a “mobile first, cloud first” strategy and aims to rent out its software apps to hundreds of millions of Indian cellphone users. Though Microsoft’s software was hugely popular in the 1980s and 1990s and they almost ruled the market at that time, it now faces stiff competition from arch rivals like Google (which now offers free apps to match Microsoft office) and new players like Zoho. The competition notwithstanding, Nadella feels that Microsoft has an edge over its rivals and its old partners like system integration companies will help carry on the dream run. With more than 900 million cellphone users and 250 million smartphone users, the market for cloud services in India is large indeed. Considering that only a very small percentage of overall office system users (less than 20%) use cloud storage and a major shift towards cloud office systems is expected in the first half of the next year (with a 33% penetration prediction by Gartner), it could mean good business for Microsoft. Skype Introduces Skype Lite for India on Android; Aadhaar Integration With App Soon!